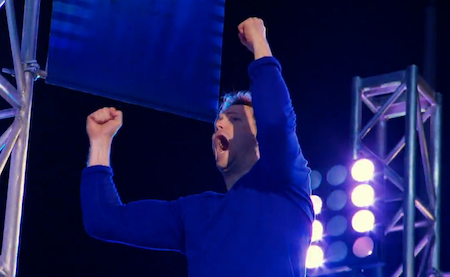 It took me much longer than I ever expected to get to smash that red plastic button at the end of an American Ninja Warrior course. To be honest, I’m a little embarrassed it took me this long. 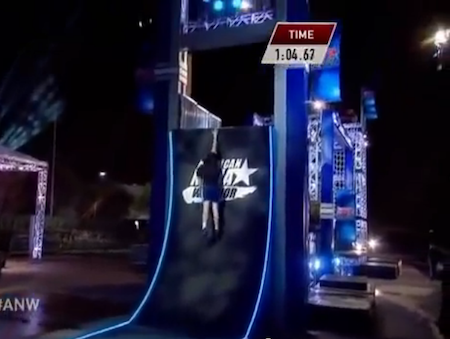 When I first dreamt of competing in Ninja Warrior (before American Ninja Warrior ever existed), like a lot of couch jockeys I felt sure that I could crush that course and easily complete the first stage of competition. 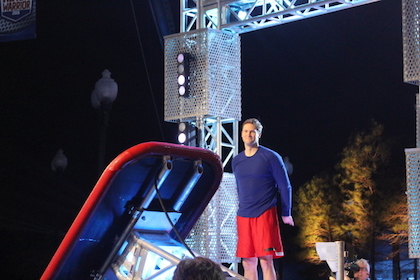 Although I came very close to completing the course in my third season (ANW4) when I failed at the Warped Wall, and fairly close last season when I failed on the second-to-last obstacle (the Circle Cross), I entered my fifth season competing this year having never completed the course and having never felt the sweet sensation of smacking that red button, hearing the horn blast, and celebrating on the top of the wall in victory. While my determination never waned, and my desire to get to the top only increased with each failure, I’d be lying if I said that in my dark moments I never wondered if I had the stuff to get the job done, and that I never worried whether I truly belonged on the same course as the amazing assortment of athletes I’ve had the honor to compete with. 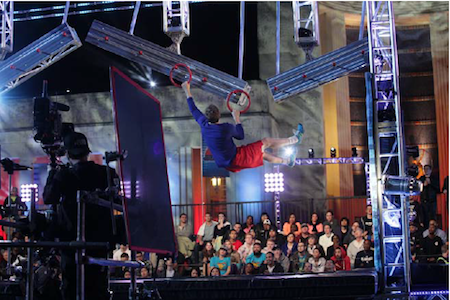 I stepped to the line in Dallas for American Ninja Warrior 6 on a warm April night to compete in my fifth season only having recently healed from the worst injury that I’ve suffered since I started on this ninja obsession. After I badly tore an abdominal muscle last September while training there was about a half-year window during which I would’ve had no chance at competing at all, I couldn’t even sneeze without pain or do a single situp, much less jump and swing around. Only in February could I begin to start tentatively doing obstacles again, and I trained hard in rehab to rebuild the core strength necessary for the explosive movements required on the course. 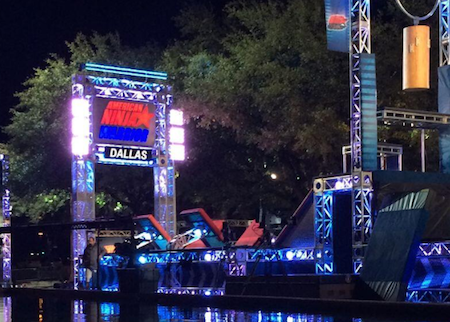 So I stepped to the line for American Ninja Warrior 6 frankly just happy that I was able to compete at all. 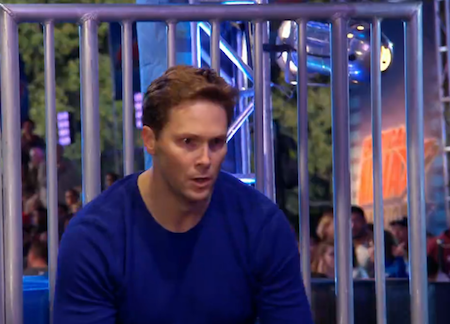 I’d say that ridiculous self-confidence (some would say self-delusion) is a required and shared attribute of most of the impassioned competitors who have stepped onto the course for American Ninja Warrior. No matter what obstacle is before me, or what physical shape I’m in, I always believe that I have a fighting chance to complete it. So despite having only recently healed from this ab injury, I stepped to the line in Dallas believing I could finish the course, even though history would have argued against such a belief. I waited on that starting platform for the signal to go with both a grim determination to finish and a singular joy that I was getting to compete at all. I gave a wave to my wife and kids who were in the crowd, having come to watch me compete in person for the first time. 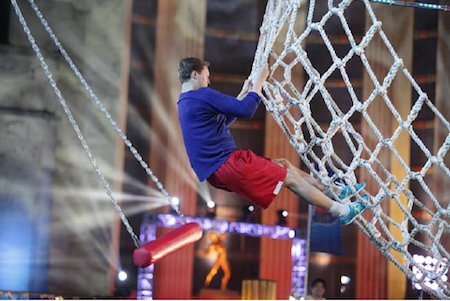 With my focus on finishing the course, I didn’t press through the first four obstacles quickly as I wanted to conserve my energy for the fifth obstacle, the Ring Toss, by far the most difficult obstacle on the course. I cruised fairly easily through the Quint Steps, the Log Drop, the Tilting Bridge, and the Swing Jump without any drama. After those first four obstacles, I took a long pause before stepping up to the Ring Toss which had been crushing the dreams of ninjas all night long. Before my run I’d seen it eliminate top ninjas like Brent Steffensen, Josh Kronberg, Jonathan Horton (2-time Olympic gymnast), and Ahmed Toure, so I knew it was going to take my best effort to get through it. My plan was to move through the Ring Toss quickly, moving a knob with every swing back-and-forth. I’d seen a lot of guys gas out taking a slow approach, and weighing 210 lbs I didn’t want to be hanging around for too long and wearing out my arms. The approach worked great, until it didn’t. I twice missed placing the ring on the next knob and found myself swinging forcefully away from the missed knob hanging by one arm on just a single ring. Fortunately I was able to hang on for dear life on both occasions (where other ninjas in similar situations had that lone ring peel out of their grip), and I pulled myself back up by my one arm on the back-swing and was able to get the ring onto the previously missed knob. I was getting a little rubber-armed though by the end of the obstacle, and was fairly elated when I cleanly hit my dismount onto the landing pad and completed the Ring Toss. It was a surreal experience transitioning from the Ring Toss and stepping onto the runway for the Warped Wall. 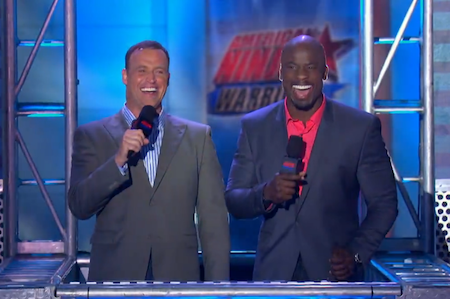 I saw the distinctively lit-up Centennial Hall in the backdrop and the announcers’ tower right there, and it mentally kicked me back two years before when I’d missed my dream by failing at the same obstacle and in the same location in American Ninja Warrior 4. 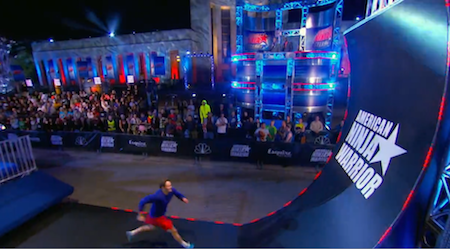 Then I heard Matt Iseman’s booming voice “AND MATT LAESSIG MAKES THE WARPED WALL AGAIN!” and it triggered a massive surge of adrenaline. I took a deep breathe and said to myself, “You’ve replayed your failure from this exact moment two years ago a thousand times in your head, and dreamt of getting a chance to actually re-do it for redemption. 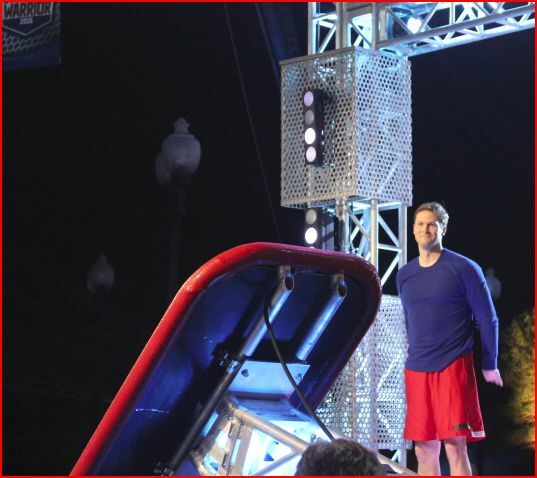 This is that moment!” I paused to collect my focus and determination (see Psycho Warped Wall picture above! ), committed myself to getting the Wall in my first attempt, and drove hard. I cleanly got the wall on my first attempt, hauled myself up to the top, and smashed that button for all I was worth. I stood on top of that wall and pointed out to my wife and three little boys who came to watch me compete for the first time, and who have been along for the whole ride. I looked over at Matt Iseman and Akbar, and Iseman shouted “You finally got it big guy!” to which I responded enthusiastically “FIFTH TIMES THE CHARM!” acknowledging it wasn’t a speedy or easy journey to that destination. I got a pretty hearty laugh from Matt and Akbar in reward. And then I let out a barbaric yawp of victory, redemption, and suffering. 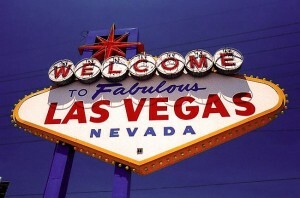 It was five seasons worth of determination, failure, doubt, and aspirations all rolled into one moment for me. At the end of the night I was one of only 21 competitors out of roughly 150 amazing athletes to finish the course, and I advanced forward to the Dallas Finals, but that’s a story for another time. Thank you to my friends and family, and my fellow ninjas, who have been along for the ride with me, and have encouraged me on this improbable journey. 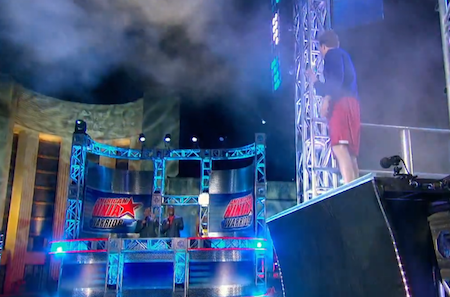 I hope this journey isn’t nearly at its end (as I write this I just got notice that American Ninja Warrior got renewed for another season), but certainly getting to the top of that wall and finishing the course was a very meaningful milestone for me. At age 43, and with a body type that’s definitely sub-optimal for this pursuit, I’m rushing into some stiff headwinds as I pursue my dream, but never underestimate what perseverance and vision can achieve, particularly when you throw in a hearty dose of self-delusion!